More advanced R/C drivers look to adjust suspension characteristics by altering the number and diameter of piston holes in their car"s dampers. 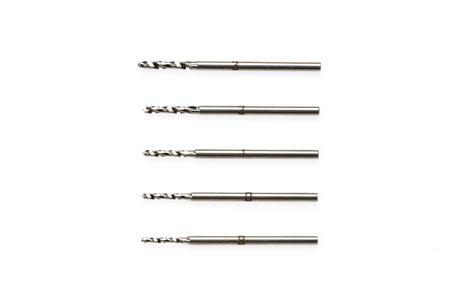 This set of drill bits lets you do that with precision, offering 0.1mm diameter increments between 0.9mm and 1.3mm. 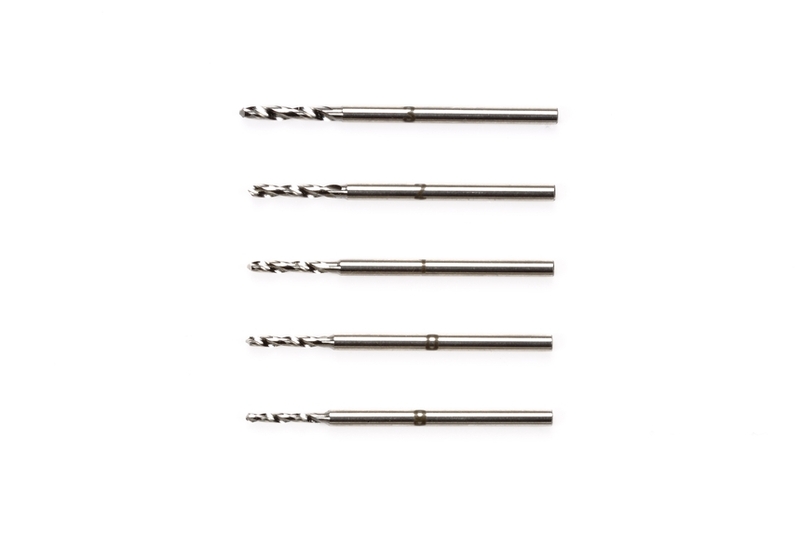 Thick shank diameter ensures good durability, and compatibility with standard pin vises. Blank pistons are available from Tamiya - Items 42165 and 42166. 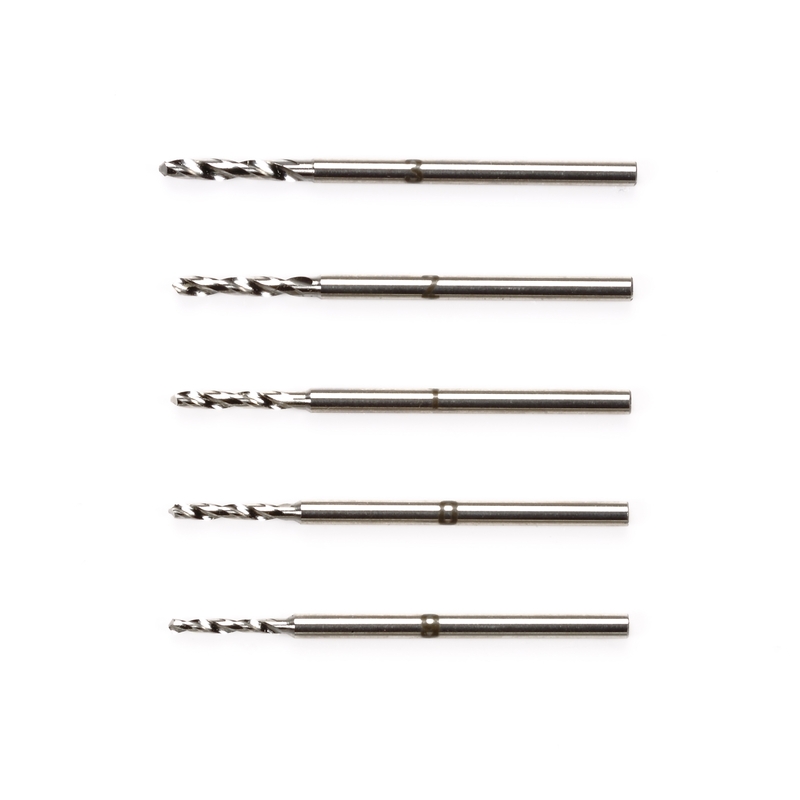 Recommended for use with Items 74050 and 74086.